Many people feel that leaving the lights on in their home while they go out to dinner will deter thieves from trying to break in. However, a number of security experts believe that it doesn’t act as a deterrent and that the only result will be a bigger electricity bill at the end of the month. Another security tip is not to place signs with the logo of the company that installed your alarm system on, or around, your property. It will make it easier for committed burglars to break in; as they’ll be able to research the system and how to override it. This do is a bit tricky; criminals might know how long the response time from a particular security company is and work around it. They might also know what authentication they require and force residents to supply the information. On the other hand a sign from such a company might deter the average burglar; convincing him that robbing your home will be too risky. You might think that your hiding place is wonderfully clever but, professional thieves know all the tricks; why risk them finding your well hidden keys? You’ve no way of knowing whether the previous owners of your new home can account for every set of keys; they may have given a set to a friend or an ex-employee who could use them to gain access to what is now your property. 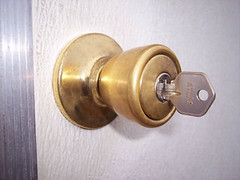 Changing the locks ensures that no one but you and yours have the keys to the castle. This is an old but a good security tip. 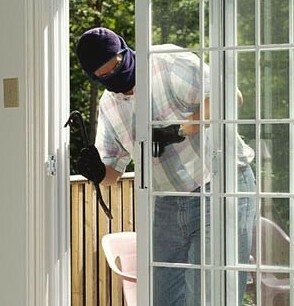 The bedroom is the first place a burglar will look in for valuables like jewels or cash. If you need to hide something precious rather stash it in a different room like the kitchen. It’s far from full proof but at least you’ll stand a better chance of it remaining hidden. If you have to keep something on site a safe still offers the greatest protection and hindrance to thieves. By all means invest in a good one but make sure not to keep the combination in an obvious place. A number of people disguise the code as a phone number on their mobiles. Even the best security systems can’t make up for human error so pay attention to who you allow access to your home, what you allow outsiders to see and how you secure your possessions. Practicing these security tips will go a long way to making your home safer. Pippa Green is a London-based blogger who’s recently bought her first home. She’s currently shopping around for home security; particularly for good cctv installers.